Looking for a professional Property Manager to rent your property? You’re in the right place! Real Property Management is West End’s leading provider of Rental Property Management services! If you’re looking for a company to manage your investment property, you’ve come to the right place! Earn maximum investment revenue and rent your property with Real Property Management today! Over the last 10 years RPM has rented hundreds of properties! Our track record speaks for itself! Liaising with Strata Corporations, Insurance Companies etc. At Real Property Management Australia we provide comprehensive, reliable, and trustworthy West End Property Management Services at below market rates. When you have an investment property, you want the finest in property management to protect your investment. Whether you are a single property owner or own a portfolio of Investment properties, we’ll effectively manage properties that include single-family homes, apartments, duplexes and townhouses. At Real Property Management Australia we provide full scale, dependable and trustworthy property management services at competitive rates. When you have an investment property, you deserve the finest in property management. We’ll effectively manage your property. Our portfolio currently includes single-family homes, apartments, and townhouses. Our West End Residential property management company has many years of experience in property management processes to consistently meet our customers’ expectations while saving them time and money. We utilize proprietary systems to manage the entire process to ensure the highest probability of success in all facets of managing your asset. Our full-service property management services include maintenance, accounting, legal compliance, marketing, leasing, collections/evictions, inspections, and more. 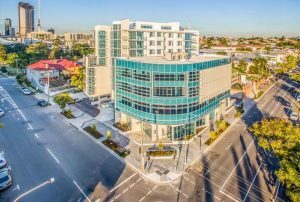 Please contact us to discuss your individual needs and discover why Real Property Management West End is the leader among residential property management companies in Brisbane. Only 3km from Brisbane’s CBD, West End’s proximity to the city has secured its popularity with young professionals and couples focusing on lifestyle close to the CBD’s amenities. The trend seen in other capital cities whereby property values closest to the CBD have increased dramatically has certainly occurred in Brisbane suburbs like West End. Bounded by Highgate Hill to the east and South Brisbane to the northeast, West End is situated alongside the Brisbane River. The suburb has recently seen extensive unit development, hoping to capitalise on the strong rental market. West End has developed in the last 10 years into a lively area for nightlife. The main street precinct rejuvenation has attracted an array of multicultural restaurants and coffee houses. It has become a popular alternative nightspot for people all over Brisbane. West End is an eclectic and dynamic suburb. It was once a very working class area, with a number of factories located along the river and Montague Road. As these factories began to shut down the suburb increasingly became home to university students, alternative types, and international migrants due to its affordable housing and rents, and its proximity to the CBD. Centred on Boundary Street, on the southern side of the river, bohemian West End has many ethnic restaurants, some interesting secondhand bookshops and multicultural food shops. This new mix of residents has created a community vibe that is unmatched anywhere else in Brisbane. Small restaurants, cafes, coffee houses, shops, bars and bakeries have evolved along Boundary Street, and have added to the vibrant high street atmosphere, day and night, over the years. However, as urban renewal projects in areas such as Newstead and New Farm begin to wind down, the Council and developers are increasingly looking towards the old industrial areas of West End to help house the future growth of Brisbane. This has been progressing slowly in recent years down by the river and in the areas between Boundary Street and the Convention Centre. Just opposite the South Bank Parklands you’ll find busy Little Stanley Street where one can dine alfresco at one of the many eateries. The area also caters for street entertainers and various corporate events. There are pubs for the night owls and markets for the weekenders. It remains to be seen whether the urban renewal programme will improve the area without detracting from the eclectic vibe that so many residents of West End and Brisbane so greatly value. 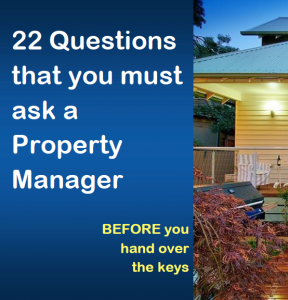 Real Property Management Australia are West End Property Management specialists.